In the post-Cold War era, East Asia has emerged as the growth center of the world. The region is home to old powers and new, but none make the headlines more than China, for reasons both good and bad. Emerging from many years of hardship, China has enjoyed a rapid rise, becoming the second-largest economy in the world, but its ascent has not been without growing pains. As China struggles to come to grips with its new place in the world, so too do the other members of the international community—none more so than long-time rival Japan, which thanks to China has recently been relegated to third place in the global economic rankings. Since the end of World War II and following its own economic miracle, Japan has established itself as a respected and influential leader in East Asia. Although its economy is mature, and its society both aging and shrinking, Japan is still a prominent member of the region and the global community. Moreover, as a result of its greatest political stability in many years, Japan has been able to revise its security legislation, thus enabling it to make greater contributions than ever before to maintaining the security and stability of the region. With Asia’s largest economy and now a strengthened military as well, China is trying to change the established international order via aggressive diplomatic and military policies. Meanwhile, under the Shinzo Abe administration, Japan has been standing up to China’s aggressive stance. Nevertheless, the coexistence of the two countries is essential to the peace and prosperity of East Asia, and China and Japan must work together in pursuit of a mutually beneficial relationship based on common strategic interests. 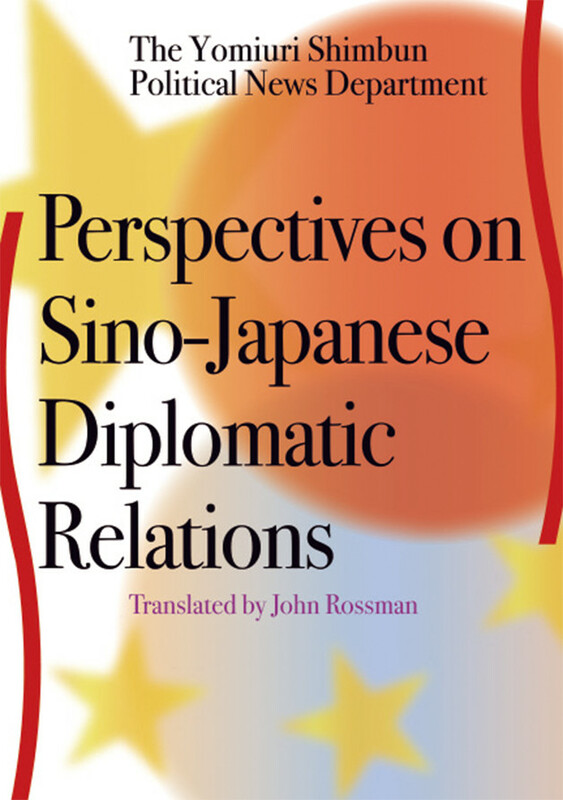 Perspectives on Sino-Japanese Diplomatic Relations is a compilation of articles written by The Yomiuri Shimbun Political News Department as part of its “Frontline Politics” series, which provides an indepth look at relations between China and Japan, including flashpoints and the involvement of other stakeholders. This work, which consists of seven chapters, examines the diplomatic strategies taken by the two sides, the Senkaku Islands, the Japan–U.S. Alliance, cybersecurity, ASEAN and Australia, regional economic partnerships, and the dangers of China’s territorial aspirations. The Yomiuri Shimbun is a Japanese national newspaper with a 140-year history. Through three headquarters and regional bureaus throughout Japan and major cities of the world, it reports on domestic and foreign issues in morning and evening editions. Its morning print run alone exceeds 9,000,000 copies, giving the newspaper the largest circulation in the world.